This article first appeared in the San Francisco Chronicle, December 5, 2008. The terrorist attacks in Mumbai, which have been dubbed India's 9/11, illustrate the severity of the jihad terrorist threat, the cruelty of terrorists who believe they are fulfilling a divine commandment, and the determination of the jihadists to fight to the bitter end against those they consider infidels - whether Buddhists, Christians, Jews or even Muslims who oppose their extreme, violent version of Islam. This severe attack targeted the very fabric of life in India, resulting in the death and injury of hundreds of innocent civilians, including local Indians and foreigners. Azam Amir Kasav, the only terrorist captured in the attack, admitted that he and his friends were inspired by 9/11, which they considered to be a prestigious example of an ideal attack. Similar to 9/11, attacks in Mumbai were carried out simultaneously, launched at various locations throughout the city. The Mumbai terrorists, however, relied on a modus operandia hostage/barricade situation - uncommon to previous global jihad and al Qaeda attacks. It appears that the terrorists attempted to kill two birds with one stone; they wanted both to force the government to negotiate for prisoner release - in the process gaining extensive media coverage - and to execute lethal, indiscriminate attacks aimed at inspiring fear and anxiety among civilians and security personnel. These attacks should not be considered classic suicide terrorism because their success did not depend on the death of the perpetrators. Yet it is clear that the terrorists were aware of the high likelihood of death and may have wanted to be considered martyrs (shahids) by their friends and families. The Mumbai attacks not only demonstrate the severity of the jihadi terrorist threat but also highlight the soft belly of open democratic societies: endless potential targets. Modern, developed society cannot function when forced to contend with repeated terrorist campaigns. To prevent such terrorist attacks, ongoing, precise, timely and reliable intelligence information is crucial. In addition, the Mumbai attacks demonstrate the need for efficient security personnel who can implement effective crisis management policies. It appears that Indian intelligence and security agencies failed in all these respects. In India, the deadly fusion between local and global jihads was manifested in attacks launched both in the context of a territorial dispute over Kashmir and as part of an ongoing global jihadi campaign against Western tourism and interests. One concept unites jihadi terrorist attacks around the world: The belief in a divine commandment that justifies jihadists to kill, kidnap, behead, commit arson and extort innocent civilians to express their religious-political grievances. This is not Islam but a cynical, calculated misuse of Islam. One of the most crucial tasks facing the civilized world lies in understanding the rationale of jihadists: their calculation of costs and benefits. 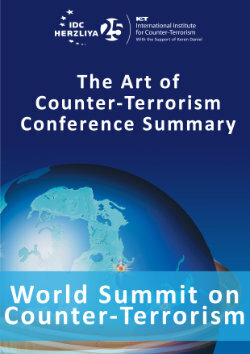 That understanding should serve as the basis of a sophisticated counterterrorism policy that neutralizes the capabilities of jihadist terrorism around the world and limits the motivations that fuel them. This task will take years, maybe even generations. It will be costly and will demand out-of-the box thinking. It is also not the responsibility of the United States alone to deal with this global growing threat, but rather the obligation of all of Western society and the civilized world, including - and perhaps primarily - the Muslim world itself, which stands revolted and terrified by the ideas and atrocities perpetrated by the jihadists. It is time for moderate Muslims to save Islam from the jihadists. Dr. Boaz Ganor is the Koret Distinguished Visiting Fellow at Hoover Institution, Stanford University. 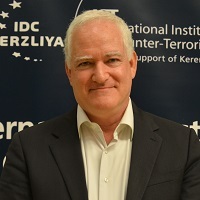 He is the founder and executive director of the International Institute for Counter-Terrorism and deputy dean of the Lauder School of Government, Diplomacy and Strategy at the Interdisciplinary Center, Herzliya, Israel.